4.) Off Beat Cafe - creator of the much-hyped Krispy Kreme Burger P180 and the Ensaymada Burger. Simple as it may seem, you have to admire the creativity in the making of this one-of-a-kind burger. Using the basic glazed Krispy Kreme Donut, adding in a 1/3 pound 100% beef burger patty, load it up with cheese, sliced pork loin and egg makes a more than hefty meal for one. Yes this is definitely a rush of all you ever need to continue on the day. They're specialty I would say is the Beef Bulgogi as well as their Japchae, reasonably priced from P100 - P120 it was a nice break from the usual burgers and pizzas abound, they taste ok but they can do better. Mochiko, mochi balls filled with ice cream, definitely a must-try, favorite flavors include Azuki (Red bean), yes I loved it, you bite into the mochi then you get to taste the cold ice cream inside and let the taste of Azuki take over, oh what a delight indeed. Another favorite flavor is Green Tea, other flavors include Chocolate and Vanilla among others, taste every flavor and get a new treat everytime you bite into one. Priced at P70 each. I also got to try this refreshing drink from Tea LC, lusciousness in a cup, I guess I'm kinda full with the long list of foods and treats I have tried and posted here. I got to taste Apple Pie ala mode P90, as I got hold of my drink, I tried to get a straw to sip on it, but was stopped immediately by the owner, I said why? He explained to me that the drink was not meant to be sipped with a straw but to sip it by the cup... confused, I took their advise, and ohh la la!! A blend of rich apple flavor with a hint of cinnamon and vanilla flavors, yummy but wait.... then the tea kicks in, Oh wow, such a refreshing drink indeed, no wonder it is one of their best sellers, you really have to try it. Tea LC in a store sometime soon. By the way I got to claim my prize from Mercato Weekend Treats. 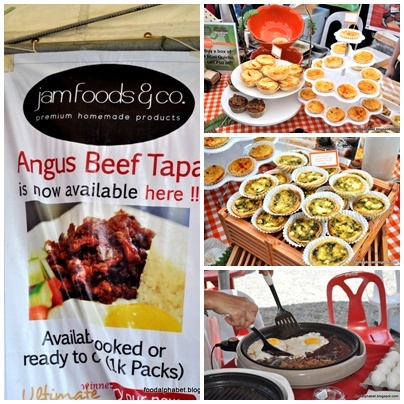 1Kilo of Jam Food's and Co., US Angus Beef Tapa, that should make my everyday breakfast wonderful for the whole week. Thank you Mercato Centrale, thank you Jam Foods and Co., and special thanks to RJ Ledesma for helping me claim my prize. 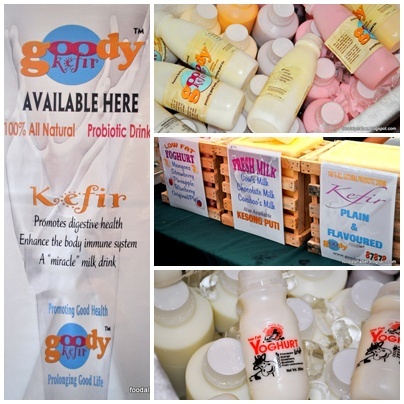 Lastly, if you have got nothing to do this weekend of May 8, 2011, take your mom on Mother's day for a spin and have a taste of good food really is. 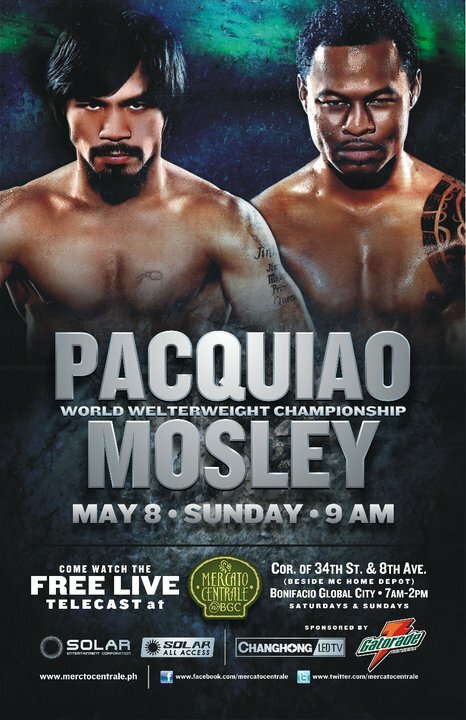 And for the dads and boys, get to watch the Pacquiao - Mosley fight for FREE only at Mercato Centrale via Live Telecast. Catch the LIVE TELECAST of the Pacquiao Mosley fight for FREE at Mercato Centrale on May 8! 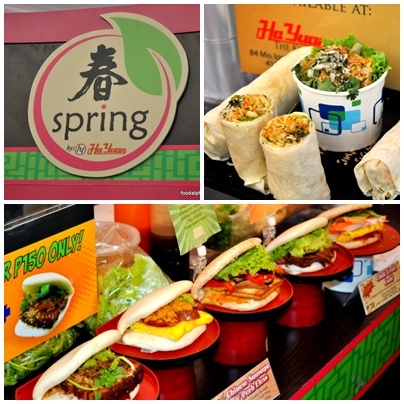 Enjoy your favorite Mercato treats while watching the best pound for pound fighter in the world! Brought to you by Gatorade and Changhong Led TV. So why spend for a live telecast when you can watch it for FREE, and with the company of good friends and good food. 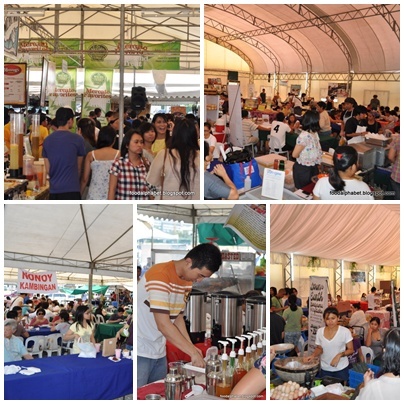 See you at Mercato Centrale.